Houseboat Living - any liveaboards in the Florida area? 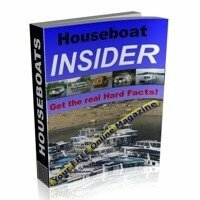 Any house boat liveaboards, or anybody living on a houseboat in Tallahassee, Florida? We are anticipating a move to the Tallahassee area, and we are researching the possibilities of continuing to live aboard our houseboat. 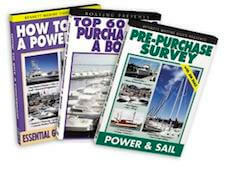 Can anyone provide information on marinas for slip rentals in the area? Well John and Regina, congratulations on your houseboat living, and hopefully some valuable information will be forthcoming. As to information on the marinas in the Florida area, you should have a look at our Florida houseboat marina section to get some names and contact info. I know that different areas have different rules and regulations, so I'm sure that some of our readers and visitors will post some comments. Lastly, hopefully some of our readers will share and post comments about their Florida houseboat living experiences. Feel free to use the "Click here to post comments." link found near the bottom of this page. 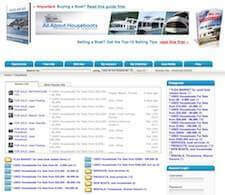 Comments for Liveaboards - Anybody living on a houseboat in Florida? I am interested in living in a house boat as a snow bird in the Tampa bay area/Gulf of Mexico and looking for advice/knowledge of anyone else living in the same area. I was wondering how well the area is conducive to house boating? Russell, thanks for your comment. 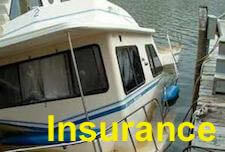 Do you know anything about putting your boat in at Weewahitchka and keeping it there permanently. My husband is retired, but I still work in Panama City. We see permanent houseboats, but don't think people really live on them. What do I need to know about putting a houseboat in the river or intercoastal waterway in Panama City? There are a lot of areas around Tallahassee, contray to the already given opinions. I have been living on my boat in Bainbridge for almost a year. I am on the Flint River, which feeds Lake Seminole. There are several Houseboat communities, primarily the barge type cottage non-motorized, in the area. It is about 40 minutes to Tallahassee and crystal clear water. I have been surprised by the presence of alligators but have found the further up river you go, the less you have to worry. 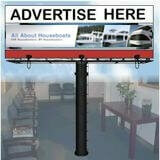 I'm looking to buy a houseboat located in Lake Seminole or the Apalachicola River for under $100,000. Are there any marinas in these areas, and are there any boats for sale? I am guessing that there were only a few people here that are actually from Tallahassee. Seeing as I am, I will shed some light on your question. St. Marks has a few marinas where I know a few people live aboard some boats. Also the Wakulla river (closer to St. Marks Marina) is deep and has a few liveaboard residents. St. Marks is only 20 mins south of Tallahassee. We live on a 38 foot houseboat on Casey Key in Nokomis (WC of Florida). Nice beach, pet friendly, great neighbors... what could be better? My husband and I own a houseboat and we keep it at Seminole Lodge, located in Sneads, FL .... a little less than an hours drive from Tallahassee. We have direct access to Lake Seminole and the Apalachicola River .... it is a beautiful area and these places ARE NOT drying up. Not to be ugly but the person who posted before me obviously has no idea what they are talking about. Please do some more research on our area before counting it out. 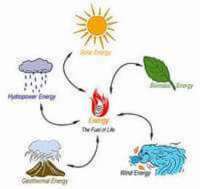 Well Lori, I wanted to thank you for sharing this information about the Sneads Florida area. I'm purchasing here with permanent docking with electric, TV, Internet, water provided. Tallahassee property has few water areas suitable for houseboat living, however there is a houseboat community on Lake Seminole, Seminole County Georgia which is approximately an hour and a quarter's drive from Tallahassee. Lake Seminole is located on the southwest corner of Georgia, the southeast corner of Alabama and extends into the northwest panhandle of Florida. The community has many houseboats, and the marina has a recreation room, bar, tennis courts, pool, restaurant and rental cabins. Commonly known as the Big Bend area, there are many coastal locations for boat living within a half hour to an hour of the State Capitol. Perry has a few places as does Carabell and along a couple of rivers. These are all a short drive with today's interstate connecting roads. Even Panama City is only 75 or so minutes away. I have a house in Fountain and can get to Talahassee in about one hour. 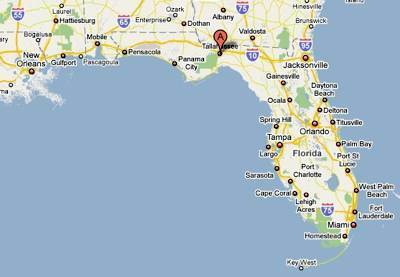 Panama City is about 20 minutes south of my house. There is also Mexico Beach, Port St. Joe and several other small towns along the coast. We live aboard our 57 foot Carri Craft in N. Fort Myers, it's to cold up north. Russell. There are few, if any, houseboat liveaboard opportunities in the Tallahassee area. Even the region's largest lake north of the city (I believe it is Lake Jackson) is drying up and much water was lost down a sinkhole that opened up during the last drought. You'd be better off looking at Appalachicola, Panama City, or my choice, quaint Cedar Key on the Gulf west of Gainesville. Or if you really want to enjoy the waterborne life, consider God's Country -- the Florida Keys. You'll be able to liveaboard in Tallahassee after Greenland's ice sheet melts in a couple hundred years, but for now, it is location, location, location. Aloha from Hawaii.